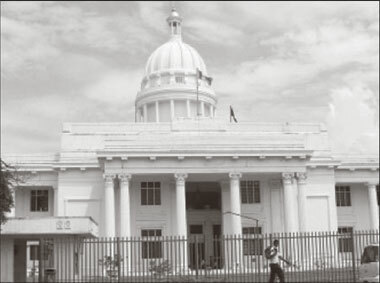 The Colombo Municipal Council which is the largest Local Authority in Sri Lanka and one of the oldest in South Asia celebrated its 147th anniversary on February 16, 2012. This Council was established in 1865 and it has grown into a large organization catering to the needs of a resident population of 637, 865 according to 2001 census and a floating population of nearly 400,000, covering an area of 37.31 square kilo metres. The Council is mainly responsible for the provision of services like public health and curative services, solid waste management, maintenance of roads, street lighting, water and drainage and veterinary services. In addition to these, there are number of departments providing social services, sports and recreation services, library services, public assistance together with finance, rates, secretarial and training departments. Further, the council is the highest policy and decision making body and the Mayor who is an elected representative is the Chief Executive Officer. Looking back over the past several years one sees that the physical environment and the social fabric of the city has undergone rapid changes. Although the Council's sources of revenue are limited and inflationary pressures have been pushing up the cost of service, the Council has managed to provide improved services without putting any additional financial burden on the ratepayers. In fact, there was a time when people of the calibre of Sir Ratnajothi Saravanamuttu, A. E. Goonasinghe, Dr. N. M. Perera, Dr. Kumaran Ratnam, V. A. Sugathadasa, Jabir A. Cader, Vincent Perera, Sirisena Cooray, M. H. Mohamed, A. H. M. Fowzie, K. Ganeshalingam and Karu Jayasuriya wore the mantle of the mayor of Colombo. Even there were distinguished people like S W R D Bandaranaike, J.R. Jayewardene, Bernard Soyza, Ranasinghe Premadasa, Peter Keuneman, H. G. S Ratnaweera, L. W. Panditha and Haleem Ishak were elected as councillors by the people of Colombo. Indeed, all these men were City Fathers in the true sense of the word. Further, in that era, the business of the Municipal Council was conducted with efficiency and finesse and moreover, was second only to Parliamentary proceedings. Those elected conducted themselves with dignity and decorum both within and outside the precincts of the Town Hall. They disregarded party colour and ideological distinction when serving the people. The three brothers Hector, E. W. and T. G. Jayewardene were members of this Council representing at different times the same seat (New Bazaar) and also there were another three brothers - Sir Ratnajothi Saravanamuttu, S. Saravanamuttu, and N. Saravanamuttu who were members at the same time (1937-1942). Sir Ratnajothi was the first elected Mayor and was the eldest of an illustrious family of Saravanamuttu brothers. Born on October 1886, he had his education at S Thomas' College, Mount Lavinia. He completed his medical studies in Madras and did postgraduate studies in England. Although he was well known in many homes in Colombo, especially in Colombo North as a kind and skillful physician, his first love was politics. He was a towering figure in the Post Donoughmore period. He was also one of the Founders of the Independent Labour Party which later merged with the Ceylon National Congress. He was Knighted in 1942. V. A. Sugathadasa who was the Mayor of the Municipal Council from (1956-1957, 1963-1965) entered politics as a Local Councillor in the Colombo Municipality winning the Kochchikade ward as an Independent Candidate. As a UNP Municipal Councillor he was elected as Deputy Mayor in 1949 and Mayor in 1956 having ousted then Mayor Dr. N. M. Perera. Sugathadasa was born on July 7, 1912 and received his education at S Benedict's College and Ananda College, Colombo. He captained the football team of both the colleges. The Sugathadasa Stadium at Prince of Wales Avenue stands as a monument to his love for sports. Vincent Perera entered politics as a Member of the Municipal Council. He served the people as Mayor on two occasions. On October 1973, the people of Colombo North elected him to the National State Assembly by a majority of 17,236 votes. In 1977, he was appointed as Minister of Parliamentary Affairs and Sports. 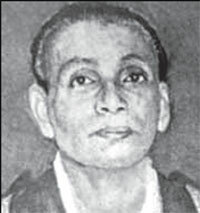 A. E. Goonesinghe, the pioneer of the Trade Union Movement in Ceylon was the third elected Mayor of Colombo holding office in 1940. George R. De Silva served as Mayor in 1943, R. A. De Mel served as Mayor from 1944-1946, R. F. S. De Mel from 1945 to 1948, Dr. Kumaran Ratnam in 1950, S. Sellamuttu in 1951, C. J. Grero from (1952-1953), J. Rudra (1953-1954), Dr. N. M. Perera 1954-1956, M. H. Mohamed (1960-1962), A. H. M. Fowzie (1974-1977), B. Sirisena Cooray (1979-1989), M. Hussain Mohamed (1989-1991), Ratnasiri Rajapakse (1991-1997), K. Ganeshalingam (1996-1997), Deshabandu Karu Jayasuriya (1997-1999), Omar Khamil (1999-2002) Prasanna Gunawardena (2002-2006) and Livais Mohamed Imitiyas (2006-2010). William Gopallawa, former Governor-General and the first President of the Republic of Sri Lanka served the Municipal Council as Commissioner from (1952-1957). In 1939, he took up the post of Municipal Commissioner, Kandy and later post of Municipal Commissioner, Colombo. In 1958, he was appointed Ambassador to the Republic of China and in 1961 Ambassador to the United States of America. In 1962, he was appointed as Governor-General of Ceylon and in 1972, he was appointed as President of the Republic of Sri Lanka from which office he retired in 1978. Indeed, President Mahinda Rajapaksa has taken great care to restore and preserve several historical landmarks in the city which formed part of the cultural heritage of the people of Colombo.